1. Don’t Overdo It - You can’t see the entire city in a weekend and really appreciate it. 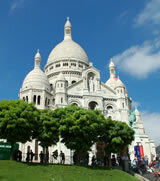 Paris is a treat to be savored, not gulped. 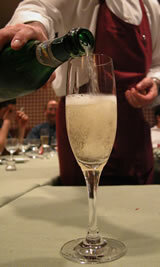 The attention to sensory detail (food, fashion, art and culture) is part of the magic of the city. Pick 2-3 things you want to do and customize your day around each activity. You’ll probably appreciate the experience more. Make your dollars go farther by reading ourMoney Savers. 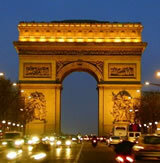 Get organized before leaving home by reading our Paris Checklist - Things to Do Before Leaving Home. 2. Understand the Culture - It's pretty obvious that France is not the United States, but most of the complaints that we've heard involving "rude Parisians" resulted from Americans not taking the time to understand French customs. An attempt to learn the basics of the culture goes a long way toward a positive experience. 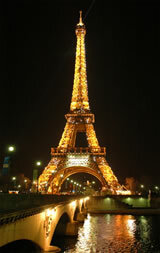 Check out the web site Understand France and read our "Do's and Don'ts" for more information. 3. 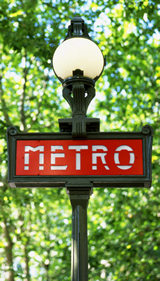 Ride the Metro - No building in Paris is more than a few hundred yards from a métro stop. The metro is cheap, fast, efficient, safe and used by all Parisians as a primary mode of transportation. When taking the RER from CDG, remember that the RER trains depart every 10-15 minutes, but not all are airport express trains. You’ll save some time if you wait for an express. 4. Carry a Street Finder- Most maps in the backs of popular tour books show the major streets, but not the hidden, small avenues that contain some of Paris' true gems. Nothing is more disappointing that not being able to find a highly-recommended restaurant or shop because your map doesn't contain enough detail. We recommend The Paris MapGuide by Michael Middleditch (Penguin books). It is small, light, and is easily stashed in a purse or folded into a suit pocket. It contains a every street/attractions in Paris, with notations for street markets, Monoprix locations, and English language bookstores as wells as métro/bus/RER/noctambus routes. 5. Use Page Jaunes- If you have online access, check out the "page jaunes" or yellow pages in French. Enter an address and this site provides a detailed map and directions, like a French Mapquest. The amazing feature is that it also displays a photo of front of the building , and enables you to virtually walk down any Paris street (the database contains pictures from all angles of every building in Paris!). 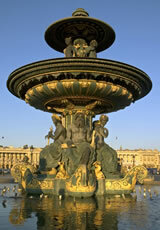 Curious as to what shops, cafés are next to your hotel before booking, go to Page Jaunes. You can get a real feel for a neighborhood and how close attractions are by taking these virtual walks. 6. Watch Where You Walk - While Paris has enacted strict fines (up to $500) for failure to "scoop the poop", keep an eye out for dog "merde" on the street. Mistakes still happen. 7. Ask for Help - If you need help and don't speak the language, ask a younger person. Many younger Parisians learn English as a second language in school. 8. Make Copies of Important Documents - Leave copies of your airline itinerary, passport information, and credit card account numbers with a relative/trusted friend at home in case you lose a passport or credit card during your trip. One call home for the account numbers will save you hours of hassle trying to sort things out at the US Embassy or with VISA.